Blue is faster : It's Slipperier ! Wow! Thanks, first time I've seen it. Love the Story ,made my Day, thanks Boss Brothers ! The paperwork says the original owner lived on Hidden Valley Drive in Houston, TX. Zillow says that property is currently worth $131,000.00. I'd be willing to wager the car is worth at least that! Very cool car and amazing story. I grew up about 15 minutes from where that car was located in north Houston. There were a handful of Boss cars in the area. Never heard of that one. Wish I had though! There was a 69 Boss 302 shell, same Acapulco Blue color as this drag car, in a junk yard about half a mile away from where this car was stored (just a couple blocks west on FM 249) . It had taken a huge hit on the side. Always wish I had written down the VIN for that car. This car was on display at the Boss Nationals Marysville. I had the opportunity to spend some time and look this car over carefully with some experts on the original fit and finish. What a time capsule! Some of the line workers must have had serious hangovers though! impressive! quite the time capsule there, makes one wonder what else is still out there...? 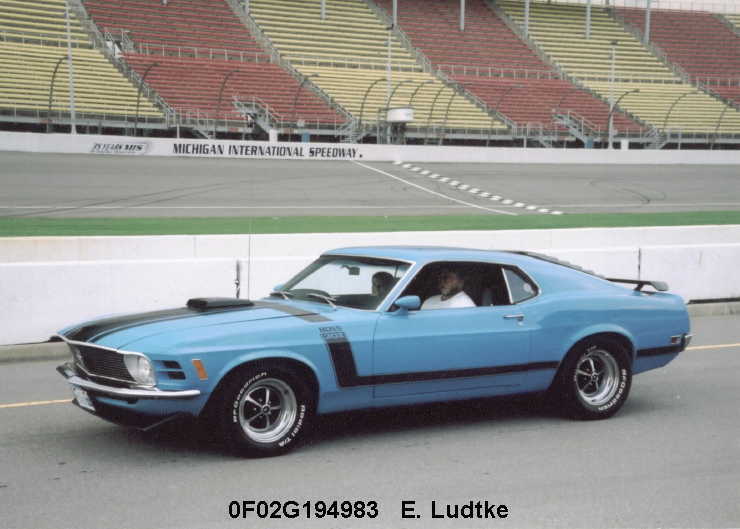 Very cool Boss 302 indeed!!! Original post transposed the numbers!!! 196 now 198 miles!! AMAZING!!! Wow and amazing story, proves that there are still a few out there. Page created in 2.115 seconds with 23 queries.